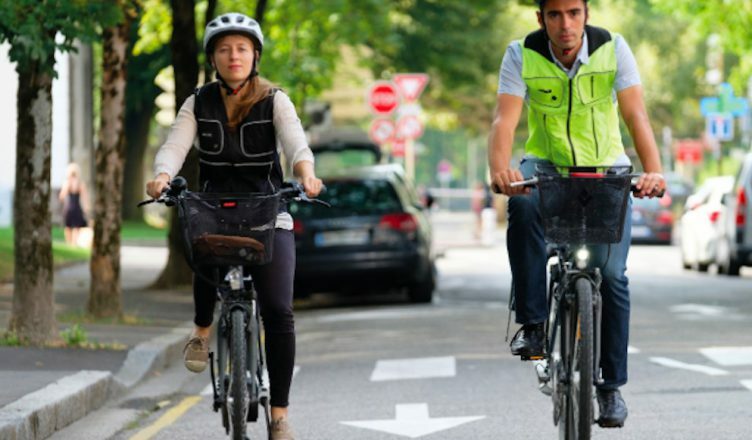 If you are still considering taking your bike before the gasoline shortage, now is the best time, because one of the technological wonders presented during the CES 2019, is the safety vest with airbag, to protect the cyclists, that in addition to the helmet, provides double security, preventing users from receiving severe injuries in the event of an accident. The best thing is that you can buy it now. Although there are already several safety accessories for bikers, the Helite brand focuses on preventing catastrophic injuries in the neck, thorax, and spinal area. His vest with airbag and reflective tape, has different electrical sensors, one of them, monitors the rhythm and movements of the cyclist and another that goes under the seat of the bike that detects the blows. In case a shock or an abnormal movement is detected, both sensors communicate and analyze the situation, in case of an abrupt change of direction or speed, the system triggers a cylinder of CO2 gas, which inflates the airbag, in less 100 milliseconds, which guarantees the safety of cyclists, even before impact. The best thing is that the vest with the airbag is made of reflective fabric and nylon, a very resistant material, avoiding rips, and do not worry that it is not like cars, that once the airbag inflated, it stops working. After each incident “we touch wood”, it deflates slowly and can be used again. Even, if necessary, the gas cylinders are sold as spare parts if necessary. If you’re worried about fashion, there has it available in two colors, yellow and black. On the internet, you can find it at costs that range between one thousand and 14 thousand pesos. Remember that this is only an accessory, your level of security will rise, according to the prudence and responsibility with which you drive.